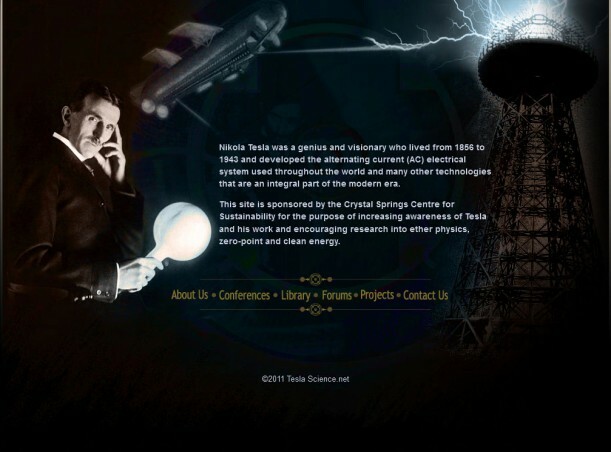 Before designing the Tesla Science web pages, an exhaustive internet search for all Nikola Tesla photographs had to be made. It’s rare to find high resolution images from his time. The intent was to let any good photograph carry the center of design. It helps a lot that Tesla was a photogenic man with a flair for showmanship. Few there are of his public release photos, most of them are fit for use. However, they are overused by many sites and publications about him.